Send a perfect gift to show how much you care about your significant other. 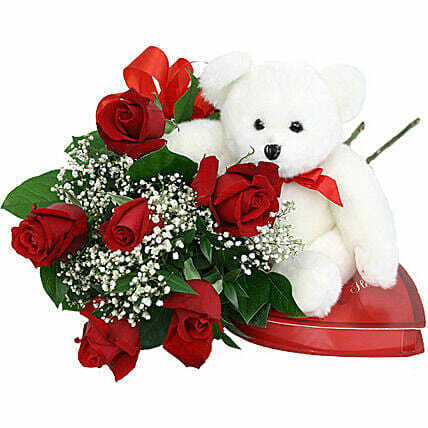 Express your feelings with this gorgeous and luscious arrangement of 6 red roses. Combine it with an adorable teddy and delectable hand made chocolates and make it a memorable gift. Note: The flowers may slightly differ based on the availability.